Thoughts from a Traveling Tech: Clarity, That's What It Needs, Clarity! Walking through the supermarket the other day and we found and awesome deal. 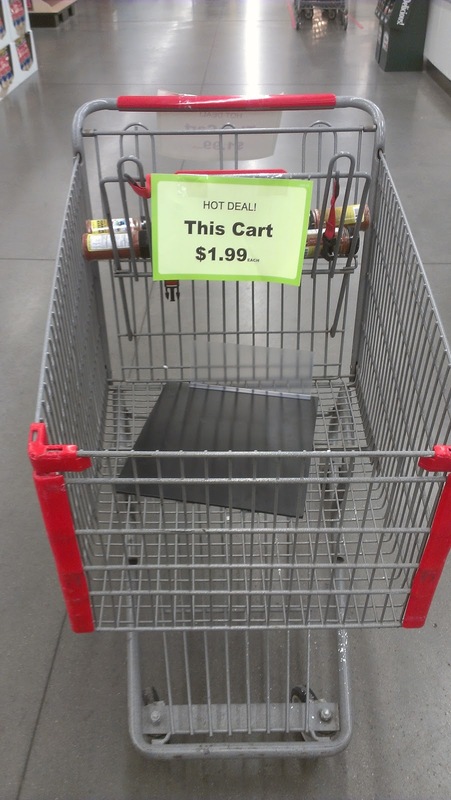 An entire shopping cart for only $1.99! 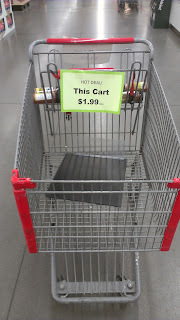 I realize that they really are selling the items IN the cart, but the sign says that this cart is only $1.99. So you can have premium racing vehicle (what, you never did that?) for a low, low price. Yep, that is a steal, if I do say so my self.